Vicki Van Hout, official festival poet, takes us on a journey through the corporate-speak of modern medicine, recounting a series of fictional yet alarmingly real interactions in the perennial quest to overcome anxiety. Inspired by Australian author, speech writer and political satirist Don Watson, and his interrogation of political word weaseling, Vicki Van Hout’s prose explores two very different perspectives, that of medical practitioner and client. She tracks the journey by which patients became clients – consumers on a journey to wellness – in a medical world in which deliverables are met through a packaged series of enquiries. Hear more at The Big Anxiety Launch Party 20 September, and Performance Anxiety’ at the AGNSW 4 October. 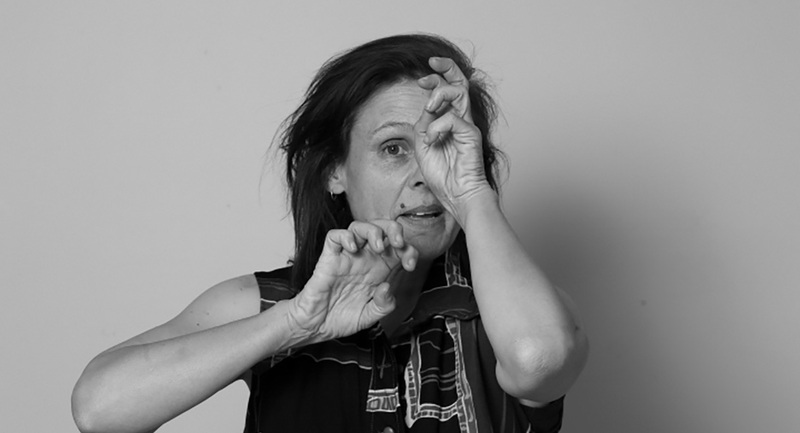 Vicki Van Hout is a Wiradjuri interdisciplinary artist working in the mediums of dance, written and spoken text and recyclable sculptural installation and set design. Van Hout has danced with major Indigenous companies Bangarra and Aboriginal Islander Dance Theatre before working as an independent with choreographers including Hans van Dan Broek (Belgium), Tess de Quincey and Martin del Amo. Vicki has been a part of a collaborative team with Marian Abboud for ten years creating works which mediate cultural diversity in contemporary society including ‘Behind The Zig Zag’ and ‘Redfern as Refuge’.